If you’re looking for a company you can trust to manage your Dallas property or group of properties, then Huntahome can help. We’ve been a leading property management company in Dallas for years and we continue to offer high-quality customer service to all of our clients. We understand that you don’t have time to deal with the hassle of renting out your property and screening tenants. Our property managers are able to handle all of this for you and much more, allowing you to focus on other more important things. Owning and leasing a property often comes with surprises and headaches. When you hire Huntahome to manage your Dallas property, we deal with all the unpleasant things. The only thing you need to do is wait for your monthly rent check through our simple direct deposit system. Property management in Dallas requires attention to detail and good people skills. Luckily, our property managers have both of those traits. We treat your tenants with respect and handle business affairs professionally. It’s a privilege for us to have your business and you deserve to be treated as such. Our company promise to you is making sure you feel valued and important no matter what. If you’re in the market to hire a rental property management company, Huntahome would love to hear from you. 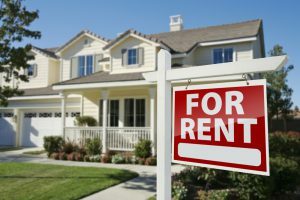 Hire the best in the business to manage your rental property and get positive results. To learn more about our services or schedule a meeting, contact us today!